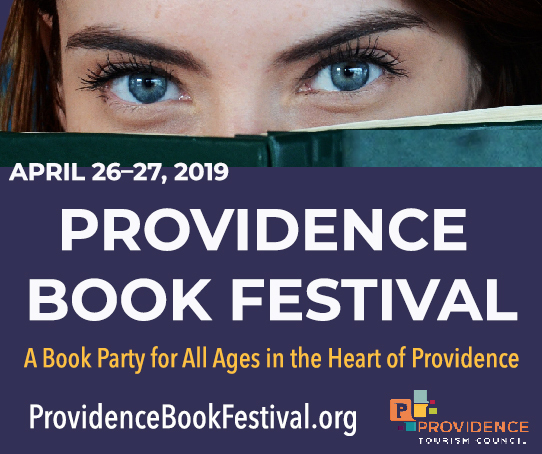 Every year at Fort Adams State Park, the Coastal Extremists of Rhode Island’s first microbrewery throw a great big party with food, beer, drinks, dancers, games, music, history and a great view of RI’s coastline. 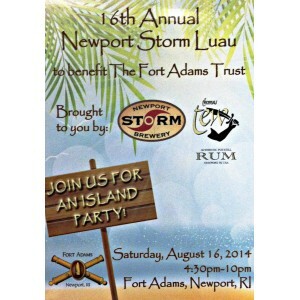 It’s called the Newport Storm Luau, it goes down on August 16 and it’s done to benefit the Fort Adams Trust, keeping a piece of Rhody history alive and thriving in our wacky modern times. If you’ve never been, the place is definitely a brand of awesome, and you’ll be partying in the safest place you can imagine if a zombie apocalypse suddenly crops up. Shop the vendors, try some brew or enjoy some mixed drinks made with Thomas Tew Rum, distilled with love by the Storm crew themselves. And when the lights go down, the real fun starts, with fire dancing and music performed by Smith&Weeden and Rare Occasions, the 2014 WBRU Rock Hunt Winners. It’s a great time, and if you’re anything like me, you could use a little fresh air and sunshine once in a while. Plus, fire … dancing with fire! Look me in the eye and tell me that’s not awesome. Do it! Grab a ticket while you can and party for a good cause! Check out more on Facebook or Newport Storm’s website: newportstorm.com. It’s been a while since I reviewed a beer, and considering it’s what I was hired to do at this fashionable rag, I thought it was time to get back to basics. Narragansett Town Beach Imperial IPA: When I crack into a Town Beach Imperial IPA, the first thing I notice is that it’s not quite cut from the same cloth as your typical IPA, and certainly not what I’d expect for a summer release. This malty, piney behemoth is more reminiscent of a forest than a town beach. This is more of a beer to have while camping, surrounded by the fresh scent of the forest and constantly wiping tree sap off of your picnic table. I do detect some of the citrus notes bragged about, but they’re subdued over a more pine sap and bitter malt mixture. How odd, considering the base malts are pale and pilsner, which are not known for producing such flavors. It almost has an odd molasses aftertaste. Don’t look at me like that. I’m not hating on Narragansett or Sean Larkin. I think I’m just taken by surprise at the result. On paper this seems like it would be a beach beer, but I think it somehow turned into a camping beer. Both are adequate for summer – I’m just slightly confused as to how it came about. Maybe it’s for camping on the beach? I’ll drink to that! Lagunitas Night Time Fear the Dark Ale: Despite sounding like a committee-generated horror movie title or an adventure game from the mid-90s, Night Time is a dark brew with no explanation of what kind of beer it is on the label. From the lightly hoppy aroma, one might think it’s a black IPA, which is great news for me, since I love black IPAs in an almost, “You need to sign in to view this video” kind of way. Wow. In a bizarre sort of crossover, this brew has some crisp, citrusy hops I’d more associate with a lighter, beach-friendly IPA, yet it lends it to a darker, but understated malt base. Well now … this is a quandary. I’m almost tempted to do another mix and let them fight it out. If not for a malty background giving this brew a solid body, I’d almost consider it to be a summertime brew. However, this beer does have a bit of a heft to it, which makes it a more complex and interesting brew than it would have been otherwise. It’s surprisingly light and easygoing while still being a solid, dark, strong brew with an impressive balance between the chocolaty malts and the light zest of hops. So, a pale that has the body of a dark, and a dark that has the body of a pale. Is this opposite day? If so, I’ve got some lottery tickets to buy! Check out either of these fine brews and decide for yourself.